Is Your New Year’s Resolution To Take Control of Debt? Did you make a New Year’s Resolution? Many people make resolutions for the New Year such as eating healthy, losing weight, increasing savings, getting out of debt, quitting smoking, etc. Was yours to make better decisions about money? Have a vision board with your written goals on it. As items are completed, check them off. A vision board is a constant reminder of your goals. People who have vision boards are reminded every day of their goals, and are most likely to complete them. It might be on your refrigerator, or on your bathroom mirror, on your car’s sun visor or at your desk at work. Know what your total debt is. Add up your total net income. Add up your current household expenses. Is there money left over after all the bills are paid? If not, then there are two options: increase income or current expenses need to be reduced. Are any of your current expenses “Want” instead of a “Need”? Is cable TV an absolute must-have for you or your family or can you cut it out of your budget? Can you make more meals at home rather than dining out? Do you purchase coffee on your way to work every day? Make a cup at home to reduce your daily expenses. It all adds up over time. Have you had an Energy Assessment done on your home? 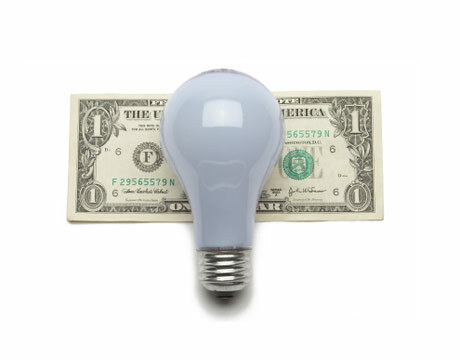 It could save you money on your monthly utility bills and cost you nothing. Visit NeighborWorks Energy Services to learn more. Look for ways to earn extra income. Working over-time, internet income opportunities, obtaining a better-paying job, selling some stored items in your attic or garage are all ways to increase your bottom line. Do you have items that are collecting dust that you do not use can be sold? Start preparing for a garage sale, virtual or real. Use any extra money you make or receive -a bonus, commissions, tax refunds – to start paying down your debt. Pay the bills with the smallest balances first and/ or pay bills with the highest interest rates first. Always make sure you pay your bills on time to avoid the extra late charges. Once you start paying down your debt, your stress levels will reduce, and you will feel much better once you achieve your goal. And isn’t that what resolutions are all about? If you feel you need more help to take charge of your debt, sign up for one of our Financial Fitness Classes by creating a Compass Account. Or give us a call at 585-325-4170. If you’re interested in saving money and helping the environment, you may want to consider scheduling a NeighborWorks® Rochester Home Energy Audit for your home! here are some answers to FAQ’s: Does it cost money to have an energy audit done on my home? Energy audits are free to households with annual income of less than $137,000. Households with a higher income can have an audit done for a pro-rated fee. NeighborWorks® Rochester has energy programs available regardless of income, including grant funds for lower income households, and subsidy programs that can help pay for energy-related work. The audit is likely to save you money in the long run, as we can help point out areas in your home that can be improved upon for energy and money savings. In addition, as a non-profit organization, our focus is on you, the homeowner, making sure that you have reliable information and a high level of customer service. Why would I want to schedule an Energy Audit? Sometimes there are issues in your home that you might not even be aware of, such as appliances that are using large amounts of energy and needlessly inflating your gas or electric bill.We can show you simple fixes to your home that you can do yourself, potentially saving you money and headaches in the future. Do you have big icicles that appear every winter and thaw every spring? They might be doing more damage than you can see from the outside, which will be more costly as time goes on. And, because we can provide tips on how to cut down on drafts and air leaks, your family could be much more comfortable on those cold, blustery days of winter. In addition, as a non-profit organization, our focus is on you, the homeowner, making sure that you have reliable information that is not part of a sales pitch. Why are you so interested in saving me money? Our mission is to help people become homeowners and to give them the tools to stay in their homes. Equipping people with information that will make their home healthier and more comfortable and will better prepare them to be long-term homeowners. Long-term homeowners make better neighbors, and better neighbors, make better neighborhoods! Why is Energy Efficiency Important? Start with Saving Money. 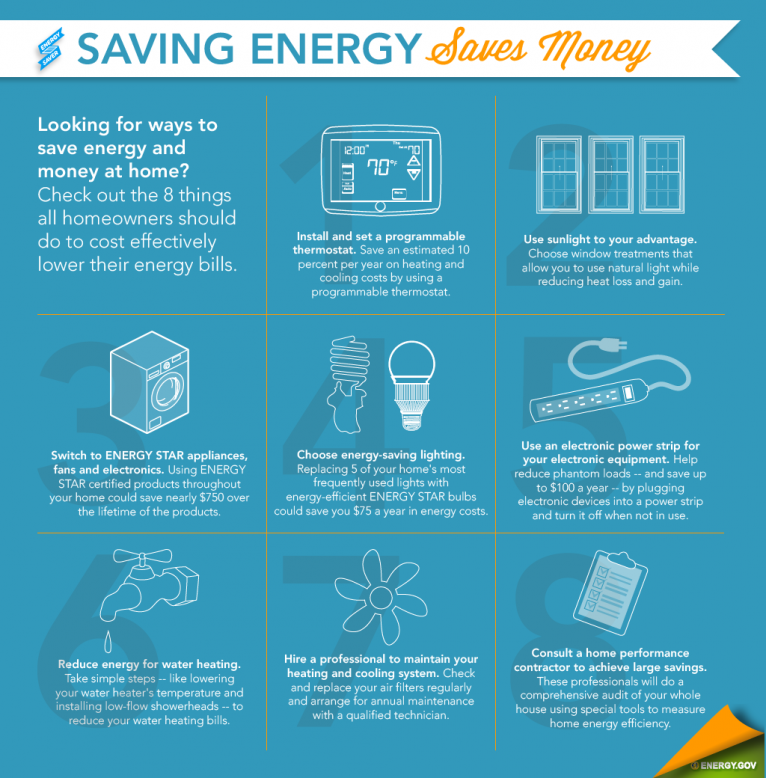 Did you know that making a few small adjustments in your home toward energy efficiency can potentially lead to hundreds of dollars in savings each year? For instance, if electronic devices remain plugged in while turned off, they continue to use energy. According to Energy.gov, a power strip that turns on and off when devices are not in use can save up to $100 a year alone! A “smart power strip” is an easy investment that will pay for itself and save you money. Bigger investments include replacing appliances that are 10 years or older with new, energy efficient models. These machines work better and use fewer resources, like electricity and water. Thinking about purchasing a new refrigerator? ENERGY STAR has a “Refrigerator Retirement Calculator” that allows you to estimate what your savings will be by replacing your current refrigerator. To get a better understanding of your home’s energy performance, schedule an energy assessment (also referred to as an energy audit). Click here for the Refrigerator Retirement Calculator.